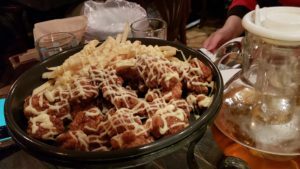 It was not my first trip to South Korea. 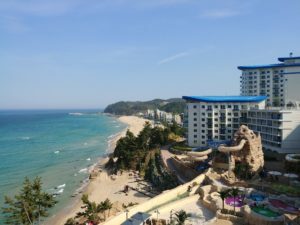 I had already made my maiden voyage in 2017 and landed in Incheon before visiting both Seoul and Samcheok. 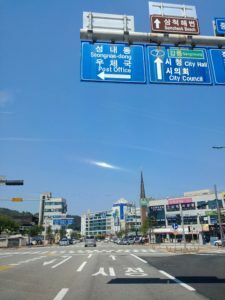 During my initial journey, I was fascinated with how modern Seoul was and South Korea, in general. 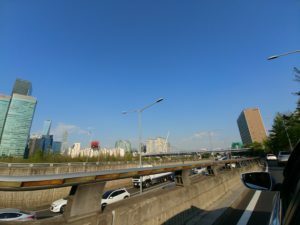 Seoul is a metropolis of around 10 million people with every modern accouterments you would expect in any metropolis in the world. It is gorgeous, in the nighttime especially, exceptionally clean, and easy to navigate via public transportation. 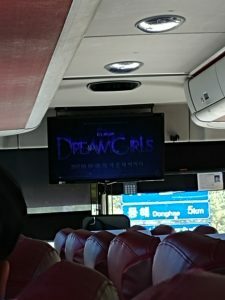 On a Sunday, I took a very comfortable four-hour bus ride to Sancheok, which is a town by the seaside and I saw factories along the way. 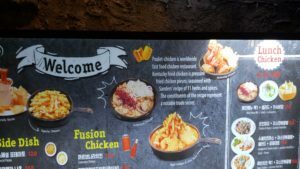 I became more enthralled by South Korea and craved to explore more about this fascinating nation, especially regarding its industrialization. 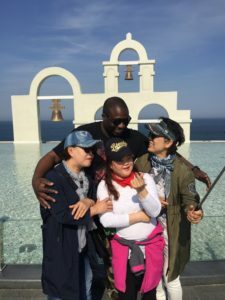 South Korea plays an enormous role in most Americans lives whether they know it or not. South Korea dominates consumer electronics, especially in the areas of smartphones, televisions, and home appliances. 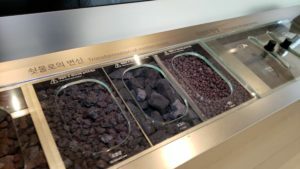 Companies like LG and Samsung lead the way, with Samsung also serving a huge role as a supplier for Apple and LG supplying lithium-ion batteries for many automobile manufacturers. 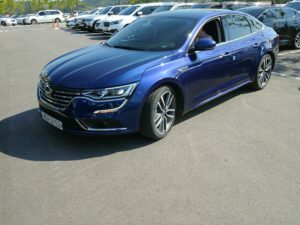 I even learned that in South Korea, Samsung is also an automobile manufacturer through a partnership with Renault. I have been test driving vehicles by Korean manufacturers for years; my parents owned a Hyundai Excel in the 80s and my college roommate owned one in the 90s. The convergence of all this strongly appealed to me. 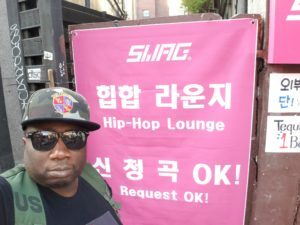 This year, I was determined to get a firsthand look and get a better cultural connection in Seoul, so I arranged a 5-day stay (which wound up being 7 days as I made an unplanned weekend trip back and even performed). I coordinated with the great people at sister companies, Hyundai and Kia, to visit a factory and design studio. 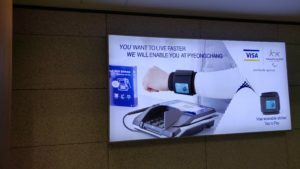 I would be traveling from Hong Kong, where I was attending the Hong Kong Electronics Fair that occurs every April, and is coordinated by HKTDC (Hong Kong Trade Development Council). 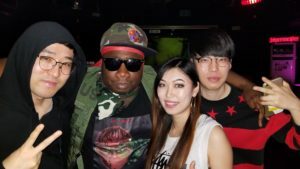 During my first trip to South Korea, I had met fans of music I had recorded as an underground hip-hop artist in DC (Da Great Deity Dah) and wound up collaborating with them to make new music. I met with my fans again during this last trip and presented them with a CD of our music collaboration that was+ released worldwide commercially. 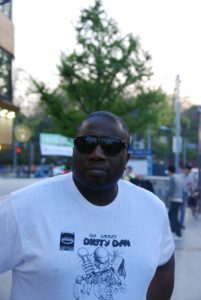 As an underground hip-hop artist in the 90s, I performed and released 4 albums on vinyl and 1 on CD. 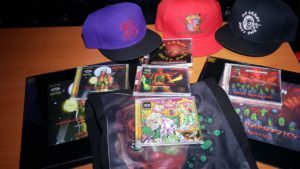 Over the years, these records became incredibly value around the world with thousands of fans posting music on YouTube, selling vinyl on Discogs, and advertising the music on social media, with some copies selling for literally hundreds of dollars. I had done something unique with my releases by never putting my actual face or image on the packages and instead using a comic book character I created as the image for my packaging. 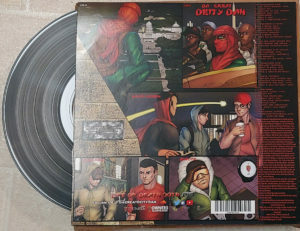 In the spirit of this, I remade one of my releases, To Take Hip-Hop Back, and created new artwork that incorporated South Korea in comic book form along with the artist I collaborated with. I was giddy to show my fans, who had now become good friends, this masterpiece and let them know it was going to be available on all platforms and distributed globally. 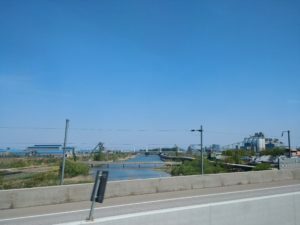 As I landed in Incheon at this special time, I became excited, as I was now familiar with getting my shuttle bus ticket and arranging travel to the Yeongdeungpo area of Seoul, where I stayed at the Hotel SB. 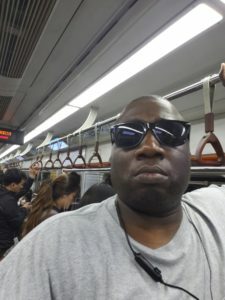 The ride was pleasant and over the weekend I got a chance to hang out in the Hongdae area of Seoul, which is frequented by a lot of American expats. 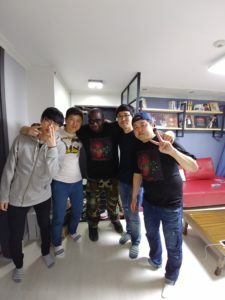 I performed songs from the collaborative CDs with my friends, ate great Korean chicken, and enjoyed the hospitality of my fans as I waited with anticipation for my visit to the Hyundai Motor Studio in Goyang. 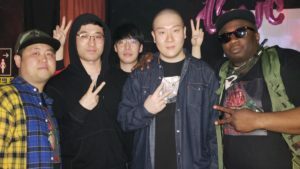 I performed at the appropriately named club, SWAG, and was awakened to Korean hip-hop culture. 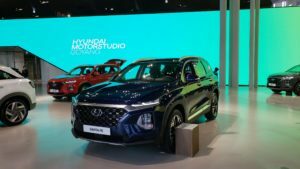 The Hyundai Motor Studio is less than an hour outside of Seoul by car and the experience was breathtaking. 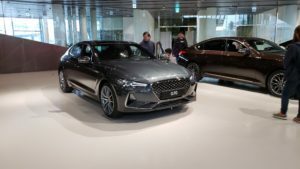 I had anticipated some design language stuff and pictures of president and chief design officer (CDO) of Hyundai Motor Group, Peter Schreyer, and his team. 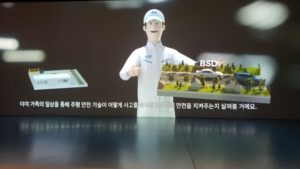 What I got, though, was a more in-depth insight into what has been fueling Hyundai Motor Group’s remarkable growth. 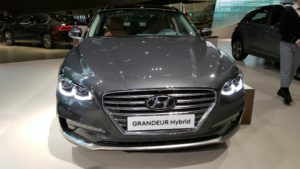 On the ground floor, I got a chance to see Hyundai’s portfolio and saw models like the Grandeur Hybrid, a successor of the Azera that we get here in America, though it has not been announced to be sold here. 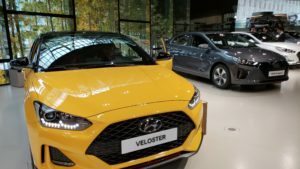 I also saw the new Veloster, the Santa Fe, the Kona, the Genesis G70, and others. Where things got interesting was in the studio where I got a peek at how Hyundai manufactures cars. I saw raw materials and the process of how they were refined. 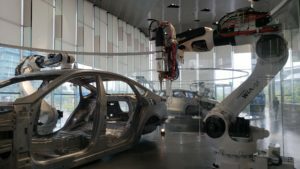 I saw robots weld and affix a windshield. 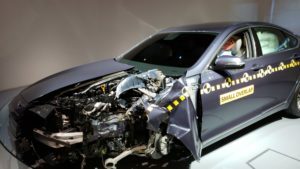 I saw a display of safety features and an interactive display on crash testing. 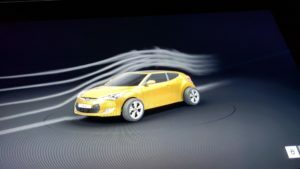 There was a visually stunning aerodynamics test and I learned how much detail is put into every sound a Hyundai vehicle makes from door chimes to turning signals. 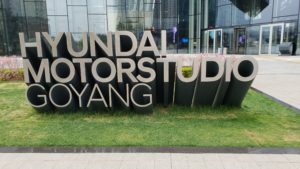 I experienced a 4D cinema and ride along with motocross drivers, saw engines and learned a lot about Hyundai’s powertrains and so much more in my almost 2-hour trip at the studio. 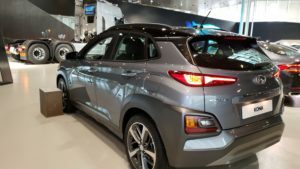 The exhibits were great and I left with a newfound appreciation for Hyundai. 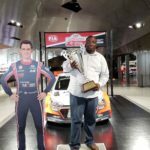 My experience reconfirmed my confidence in the roll-out of the Genesis as a separate luxury brand that can compete and produce high-quality luxury vehicles. 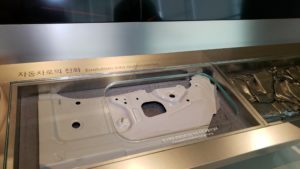 I left with great anticipation of my visit to the factory of sister company, Kia, where luxury vehicles like the Stinger and the K900 are made. 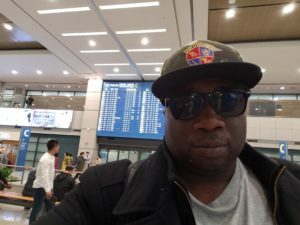 The story of my trip to the Kia Sohari plant is next in this ongoing series of my global travel to explore the future of manufacturing and industrialization, while also meeting fans of my music and art and engaging in cultural exploration.